The World War II History Project is a 501(c)(3) organization dedicated to finding, recording, saving and preserving the stories of World War II participants to educate current and future generations, with a particular focus on reconciliation that leads to understanding and peace. Since 2010, we have interviewed roughly 200 American, Canadian, British, French and German veterans and civilians. Interviews range from 2 to 30 hours-long. We scan photo albums, journals, letters, and ask veterans to read them on tape. We work with other historians and veterans to seek out those who have not yet told their stories, particularly those veterans who have reconciled with their former enemies from the European war. We have completed many of the interviews with high-definition video, and are looking for innovative partners interested in developing joint projects like writers, television and documentary producers, museums, and educational institutions. Jim is a 30-year Air Force veteran Command Pilot with 4,600 hours of flying time in a variety of aircraft. He served three tours in Vietnam, flying an air refueling tanker and the O-2A aircraft, as well as in the night forward air controller mission over Laos. He flew a total of 243 combat missions, accumulating nearly 900 hours combat time. In civilian life, Jim was a pilot with Eastern and United Airlines for 30 years. 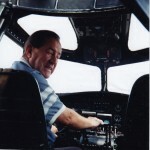 He retired from United in 2002 as a Boeing 727 Captain, and in 2005 was inducted into the Wisconsin Air National Guard HOF in recognition of his contributions to the USAF and National Guard. Andy is a pilot, skydiver, photographer, and marksman extraordinaire. 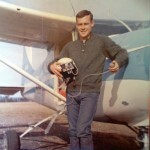 He holds a plethora of aviation records (click here to see the list), and reached international renown as one of the first skydiving aerial photographers. He has had a day named after him in Oklahoma. Although in his mid-70’s, Andy works out at Cross-Fit at least six times a week. Heather lived and studied in Berlin shortly after the fall of the Wall, earned an MBA from the University of Chicago, and for seven years ran a non-profit that assisted law enforcement in hunting down child predators. She is currently prioritizing projects documenting reconciliation and peace-in-action, as well as overseeing the mammoth task of ensuring all the interviews gathered are transcribed and verified. Ed was born in Nuernberg into a longstanding German Jewish family. Just before the outbreak of the war in 1939, he luckily made the last Kindertransport out of Germany. He served for the Americans in the war. He has spent his whole life working for interpersonal, intergenerational and international understanding and peace. A young officer candidate in Panzer Regiment 5, Charley fought the last six weeks for Rommel’s Africa Corps before it fell in Tunisia in May, 1943. 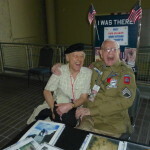 He worked as an interpreter while a POW of the American and British until 1947. He considers it his life’s mission to work for reconciliation & understanding between former enemies. He is an honorary member of the British Sherwood Rangers Tank Regiment’s Old Comrade’s Association, and has found some of the best friends of his life in the men against whom he fought in Africa. Dr. Bryan Mark Rigg received his Bachelor’s degree from Yale University and his Ph.D. from Cambridge University. 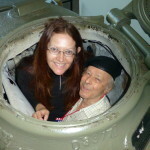 As part of his research for his Ph.D., Bryan interviewed 400 former German World War II soldiers who were Jewish, or had Jewish parents or grandparents. 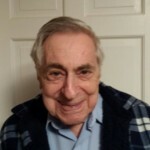 These interviews formed not only the basis for his degree, but also for the books published in 2002 (Hitlers Jewish Soldiers), 2006 (Rescued from the Reich) and 2009 (Lives of Hitler’s Jewish Soldiers). Bryan served in the Israeli army. After also serving as an officer in the US Marine Corps, he became a professor at Southern Methodist University and American Military University from 2000 to 2006. He continues to write books and mine the wealth of information he collected as a graduate student. His assembled documents, videotapes, and wartime memoirs on the subject are presented as the Bryan Mark Rigg Collection at the Military Archives branch of the Federal German Archives (Bundesarchiv) in Freiburg, Germany. Dr. Michael Wolffsohn is retired Professor of Modern History, political scientist, writer and commentator. He is one of Germany’s leading experts on International Relations, Military Affairs, German History and Politics, Religion and Politics, and the varied dimensions of German-Jewish-Israeli relations. Dr. Wolffsohn is the son of a German Jewish merchant family who fled Germany in 1939. He was born in Tel Aviv. Together with his parents he came to West-Berlin in 1954. He served in the Israeli Army from 1967 to 1970. He studied History, Political Science and Economics in Berlin, Tel Aviv und New York and taught Modern History in Munich at the University of the German Armed Forces (Bundeswehr Universitaet) from 1981 to 2012. He has published more than 30 books including Israel (8th German edition, 2016 – US/GB, 1987), Eternal Guilt (1994), Whose Holy Land (13th German ed. 2016), and Towards World Peace (German ed. 2015). Captain Jay Walker completed over 30 missions in 1945 as a part of the 384th Bomb Group. After separating from the Air Corps, Jay built the Bellflower Airport before going on to produce in Hollywood and own multiple car dealerships nationwide. He served as an Ambassador-at-large after the war, and flew a restored Collings Foundation B-17 across the country for many years while in his 70’s. Jay was founding president of the governing board of the World War II History Project. He passed away on May 2, 2016 and will always have a place in our hearts. Admiral Lyon trained in the Navy Scouts and Raiders special forces in World War II, scouted beaches in Japan during the war, cleared floating mines in North Korea during that conflict, and went on to become the first Navy SEAL to reach the rank of admiral. As such he was known as Bullfrog 1. He served as an advisor to us and an untiring, cheerful supporter of our work. He was also very active in the Oceanside community, serving as mayor for eight years. The patriarch of a large brood of children and grandchildren, he lived on the beach and swam in the ocean in the summer until he passed in February of 2017. He will be sorely missed.